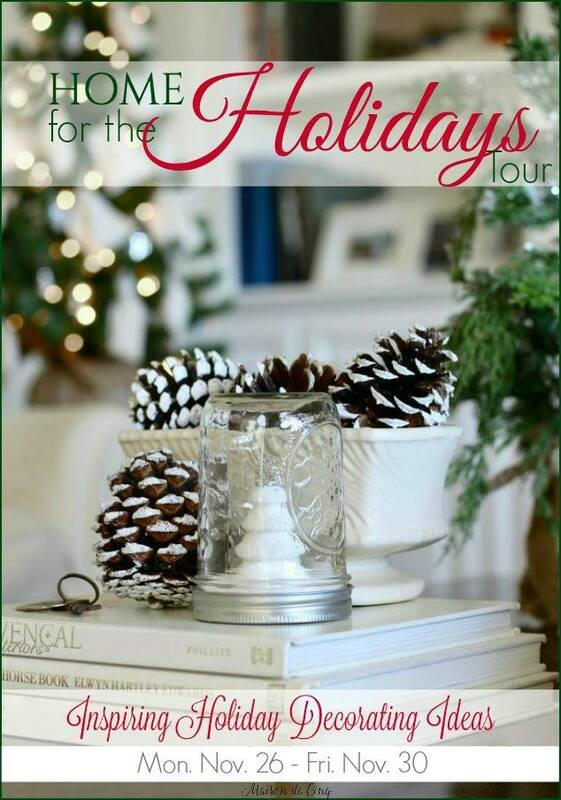 The Home for the Holidays Tour continues with more fabulous holiday inspiration. You'll also find the previous days links so be sure to check those out, too. I'm still tweaking things around here and will be sharing more next week. It has certainly been a most wonderful tour and thanks for promoting it Kim!...I have enjoyed each and every post that has been filled with glorious Christmas inspiration! I love every post, so many beautiful homes and ideas. So many nice ideas and decor - thank you!